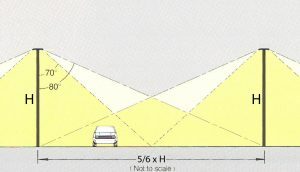 The SupraLED is a high performance area light using LED optics to illuminate large car parking areas. It is also designed as an LED replacement for VeeLite’s long established and popular Supralite car park luminaire, typically on a 1 for 1 basis. Construction: Die Cast aluminium, flat glass optics (ie. no uplight). IP66 Optics/ IP65 Driver Housing. Installation: Via integral Mastfitter – Spigot size: D90mm x 100mm. LED: 140w to 495w LED. 4K. 3K or 5K on request. For 420w version – 3 Drivers. Lifetime (<10% failures): 100,000 Hours. Please contact us for Pricing or Design information or to discuss suitability.